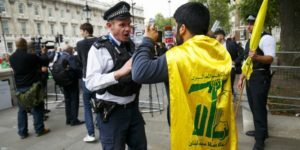 British authorities are on the verge of banning from their territories all branches of Lebanon-based Hezbollah that the government-led by Theresa May has labeled as a “disgusting group”. The decision, endorsed by Home Secretary Sajid Javid and Foreign Secretary Jeremy Hunt, will be unveiled next week, London-based The New Arab reports. So far, only the armed wing of the powerful Shia movement is banned in the country but with the upcoming decision, all branches and aligned movements will also be prohibited. 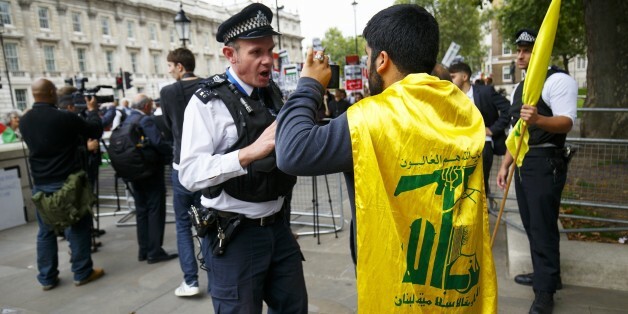 The move will also target the annual pro-Palestine Al-Quds Day March rally in central London, where the yellow banner of Hezbollah is frequently seen, the Qatar-endorsed media says. UK has not put the organization on its black list but London has criticized the Iran-backed movement for its dangerous actions across the world and mainly its involvement in the Syrian conflict on the side of President Bashar al-Assad. The ban move is upheld by Jewish activists and pro-Israel groups also opposed to Iran’s influence in the Middle East region. Hezbollah has fought numerous wars with Israel including the devastating conflict of 2006. Israel and the Arab League believe the group sponsors terror groups in the region. Pundits believe the decision to ban the movement outright is a way for the UK to put pressure on Iran, which has imprisoned a British-Iranian mother, Nazanin Zaghari-Ratcliffe. The woman working for Thomson Reuters Foundation charity has been detained on espionage charges that London says are fabricated. Posted by KanelkaTagba on Sep 28 2018. Filed under Headlines, World News. You can follow any responses to this entry through the RSS 2.0. Both comments and pings are currently closed.